What is the focus of Dr. Bethke’s practice? Dr. Bethke is specialty trained in Surgical Oncology, which includes the surgical treatment of many different cancers, but limits his practice to breast surgery. He operates on about 325 new breast cancer patients each year in addition to performing prophylactic mastectomies for high risk patients (such as BRCA positive patients) and surgery for various benign breast problems. I’ve just been diagnosed with breast cancer, I’m terrified, now what? First you must realize that breast cancer is not a medical emergency, but it is often an emotional emergency. You have plenty of time to gather all the information, obtain necessary consultations and then together we can develop a treatment plan based on sound medical principles. Our hope is that this website will empower you to take an active role in the decisions and make your role as project manager a little easier. Does the Lynn Sage Breast Center have a Patient Navigator? Yes. Soon after you schedule an appointment for the evaluation and treatment of a newly diagnosed breast cancer a Patient Navigator will call you. They will assist you in making appointments, understanding the evaluation and treatment process and provide social support. Where does Dr. Bethke see patients? He sees all of his patients at the Lynn Sage Breast Center, a part of the Maggie Daley Women’s Cancer Center located on the 4th floor of Northwestern’s Prentice Women’s Hospital. All breast services are conveniently located at Prentice including the Lynn Sage Breast Center, operating rooms, inpatient rooms, breast imaging, and radiation oncology and support services. Find the Lynn Sage Breast Center on Google Maps. How do I schedule and prepare for my initial consultation? Call (312) 695-0990 and follow the phone menu for initial visit appointments. The scheduling coordinators will determine the reason for the consultation and schedule you accordingly. They will also instruct you on what to bring to the consultation and what needs to be delivered to the Lynn Sage Breast Center prior to your initial visit (breast imaging and pathology slides from other institutions and their complete reports). Please also complete the Preregistration Packet forms emailed to you when you scheduled a consultation. What can I expect on the day of my initial consultation? The front desk will review your paperwork, make sure it is complete and signed. Because Northwestern is a major teaching hospital you may initially be seen be a student, surgical resident or breast surgery fellow. I enjoy my role as a mentor and I believe you will find them helpful, eager to learn and that they provide a beneficial added dimension to your visit. I will then see you, review your medical history, examine you, answer your questions and together we’ll develop a plan that you’re comfortable with and which is based on sound principles. Who will coordinate additional testing, consultations, preoperative testing, surgery scheduling? Our staff at the Lynn Sage Center will help arrange any additional imaging, biopsies and consultations necessary prior to surgery. It is quite common that additional studies are necessary before I can make a final recommendation and the Lynn Sage staff will help coordinate this process. Please remember that you are the project manager and need to play an active role in your evaluation and treatment process. The front desk will make a copy of your insurance card and have you sign release forms for billing purposes. It is ultimately the responsibility of the patient to confirm insurance eligibility and that all procedures are precertified according to your insurance company’s rules. If your insurance plan requires a co-pay you will make that at the completion of the visit on checkout with cash, check or credit card. 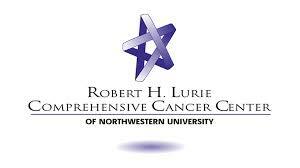 Northwestern Medicine will send you a combined bill for all hospital, physician and testing charges. How do I know where and when to report on the day of surgery? The Lynn Sage and Prentice operating room staff will notify you the day before surgery and give you specific instructions. You must follow instructions closely in terms of appointment times and diet instructions or you risk having your surgery cancelled. Instructions are also posted on the Northwestern Memorial Hospital surgical instructions page. You will report either to the Lynn Sage Breast Imaging Center located on the 4th floor of Prentice (if you need a wire localization prior to surgery) or to the 6th floor surgery center (you’ll receive specific instructions the day prior to surgery). The nursing staff will register you and place an IV. The anesthesia team will evaluate you and my surgical team and I will talk to you, make sure all consents are signed and answer any remaining questions. Your family may be with you in the preoperative area and they will wait in the family waiting area during surgery. The Plastic Surgery team may also see you prior to surgery if you are having immediate reconstruction. Day of surgery schedule for patient and family. What if I’m having a Sentinel Node Biopsy? If you’re having a sentinel node biopsy the Nuclear Medicine staff will inject the radioactive dye in the breast skin while you’re in the preoperative area. The blue dye will be injected once you’re sedated in the operating room. Who is part of the operating room team? Dr. Bethke is charge of your surgery and is present for 100% of the operation. Because Northwestern is a major teaching hospital he may have a student, surgical resident or breast surgery fellow assisting him but he is totally in charge and very compulsive and detail oriented. There will also be 2 or 3 nurses and the anesthesia team consisting of the attending anesthesiologist and possibly a CRNA (nurse anesthetist) or anesthesia resident helping. What kind of anesthesia will I have and how long does it take to wake up? If you’re having a mastectomy you will have a general anesthesia and you will be in the recovery area for about 2 hours before going up to your hospital room. If you’re having a lumpectomy or simple biopsy you’ll most likely receive monitored anesthesia care (MAC), also known as twilight anesthesia. With a MAC you wake very quickly and usually go home in 1-1/2 hours. Often when MAC patients wake up they ask “when are we going to start” and we’re already done! Will someone talk to my family or friends after surgery? Yes, Dr. Bethke will personally talk with your family and friends after surgery and let them know how the surgery went and what was found. During longer cases a nurse will often call out to the waiting room to provide the family with a progress report. Because Dr. Bethke usually has 4-6 operations per day he may not be able to see you in recovery before you leave. If you have specific questions please let the recovery nurses know and they can contact him in the OR. Will I receive postoperative instructions? Yes, you’ll have received a copy of the postoperative instructions at the time of your initial consultation and you’ll receive another copy on discharge. The OR nursing staff (or hospital nurses if you’re hospitalized) will review the instructions with you and make sure you understand them prior to discharge. Will I receive a prescription for pain medication after surgery? Yes. You will receive a prescription for narcotic pain medications upon discharge. If you’re only having a lumpectomy at the end of the operation we’ll inject a long-acting local anesthetic into the wound that lasts 4-5 hours. We will also wrap the chest with a wide elastic bandage and this provides excellent support. Generally if the breast doesn’t move it doesn’t hurt. Many patients report only using Tylenol or ibuprofen after their lumpectomy surgery. If you have a mastectomy or an axillary dissection you will go home with drains (small plastic tubes which collect excess fluid from under the skin). The nursing staff will teach you how to empty the collection bottle (2-3 times/day), keep track of the drainage (provide tally sheet) and strip the drain to prevent obstruction. The drains generally stay in for 10-14 days (drainage needs to be <30cc/24 hours) and either Dr. Bethke and his team or the Plastic Surgery team (if you have immediate reconstruction) will remove them when appropriate. Who will notify me of the final pathology results and when? Dr. Bethke will personally call you with the results when they become available (usually 6-7 days after surgery). He will review them with you over the phone and then discuss them in greater detail during your postoperative clinic visit. How long does it take for the incision(s) to heal and what are my restrictions? The wound continues to heal and change for about a year. However, you can shower the day after surgery, perform normal daily activities the following day and submerge the incision (pool or tub) in about one-and-a-half weeks. If you have immediate reconstruction the plastic surgeon may have further restrictions. You may drive when you can react to an emergency situation and are no longer taking narcotic medications. When will I see Dr. Bethke for the first postoperative follow-up visit? You will generally see him 1-2 weeks after surgery. You can schedule this appointment prior to your surgery. I will check the wound for healing and review any pathology results. When do I see the Medical Oncologist and Radiation Oncologist? If you need additional therapy (chemotherapy, hormonal therapy or radiation) after surgery this will usually start 3-6 weeks after surgery. If you have a Medical or Radiation Oncologist whom you would like to see we’ll make sure they get the appropriate records. If you don’t have one in mind we will help you choose one and facilitate scheduling an appointment. You can start making these appointments prior to your surgery but allow at least one week for the return of all results prior to making these appointments.